FUEL EFFICIENT 30 MPG Hwy/22 MPG City! Summit trim. Moonroof, Navigation, Heated Leather Seats, DVD Entertainment System, Panoramic Roof, Power Liftgate, Turbo Charged, PLATINUM SERIES GROUP, REAR DVD ENTERTAINMENT CENTER SEE MORE! Leather Seats, Navigation, Sunroof, Panoramic Roof, Power Liftgate, Heated Driver Seat, Heated Rear Seat, Cooled Driver Seat, Back-Up Camera, Premium Sound System, Satellite Radio, iPod/MP3 Input, Onboard Communications System, Remote Engine Start, Dual Zone A/C. Rear Spoiler, MP3 Player, Privacy Glass, Remote Trunk Release, Keyless Entry. ENGINE: 3.0L V6 TURBO DIESEL EcoDiesel Badge, Engine Oil Cooler, 220 Amp Alternator, 230MM Rear Axle, 800 Amp Maintenance Free Battery, 6 Additional Gallons Of Diesel Fuel, Selective Catalytic Reduction (Urea), Dual Bright Exhaust Tips, Heavy Duty Engine Cooling, Electro-Hydraulic Power Steering, REAR DVD ENTERTAINMENT CENTER Blu-Ray Compatible Dual Screen Video, Rear Seat Video System, PLATINUM SERIES GROUP Body Color Door Handles, Body Color Exterior Mirrors, Platinum Strip Tail Lamp, Body Color Sills w/Platinum, Gloss Black Grille-Platinum Chrome, Platinum Badge, Body Color/Platinum Front Fascia, Body Color/Platinum Rear Fascia, Wheels: 20" x 8.0" Satin Carbon, TRANSMISSION: 8-SPEED AUTOMATIC (8HP70). 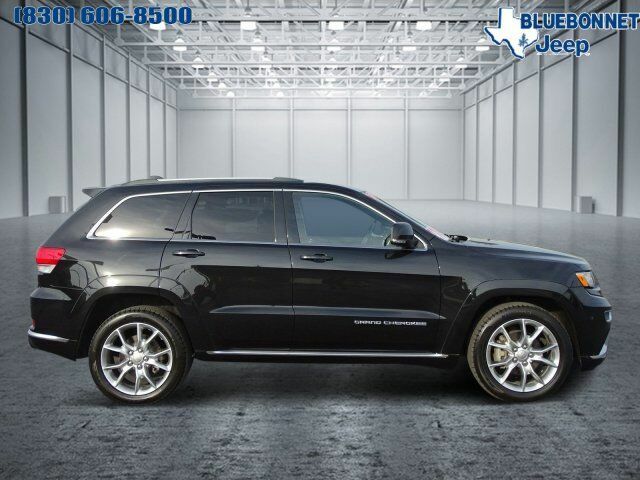 Edmunds.com's review says "If you want a midsize SUV that does a little of everything, the 2015 Jeep Grand Cherokee is the way to go. Its well-trimmed cabin is comfy for five, and it's one of the few remaining utility vehicles that can handle both off-road trails and daily commutes.". Great Gas Mileage: 30 MPG Hwy.